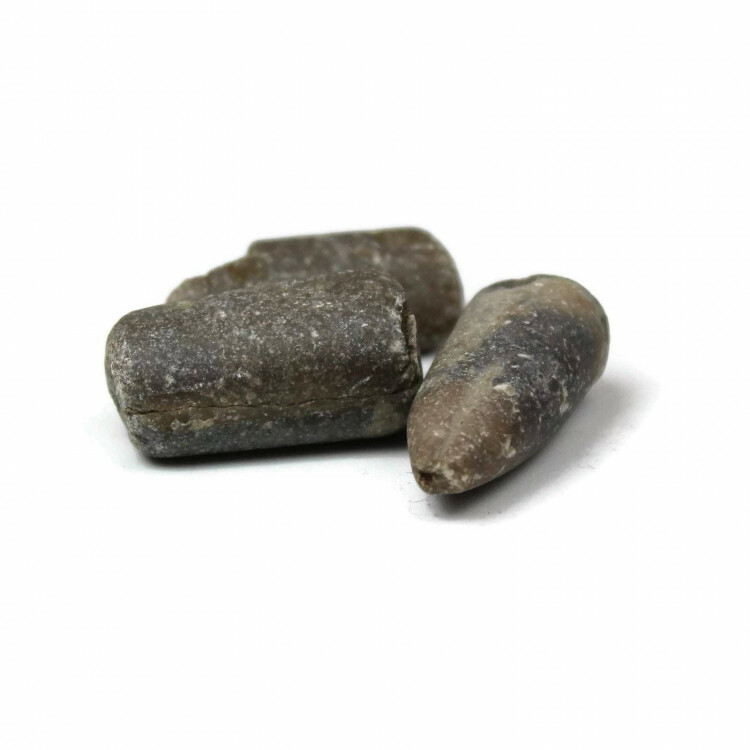 Broken Belemnite pieces – a relatively common, well known fossil! Very common fossils, often found in gravel and other common stones. 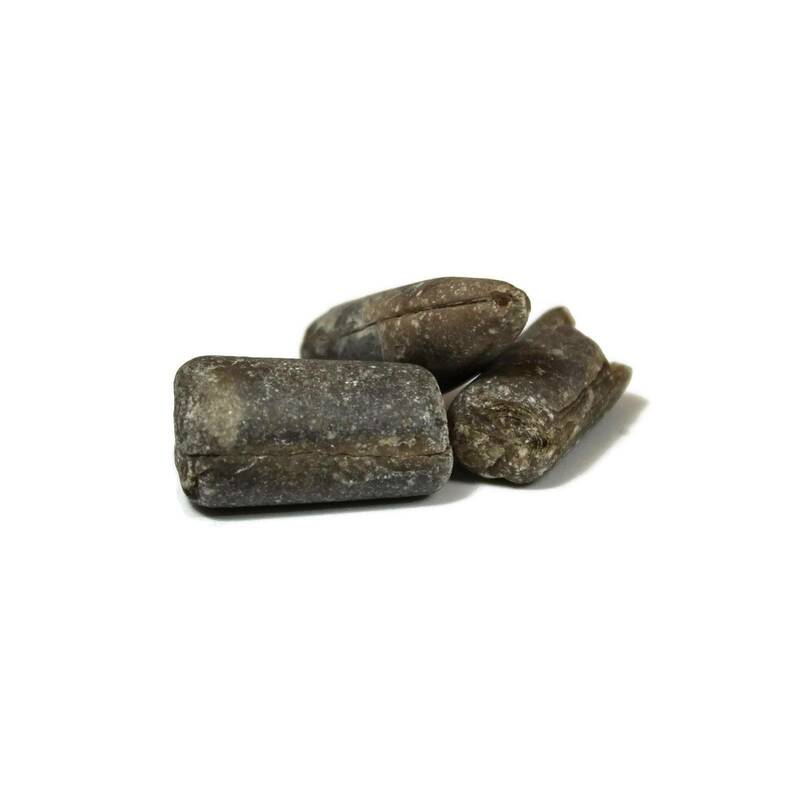 We realise it is strange to actually sell pieces of gravel, but… there’s a reason! We have personally collected these pieces from gravel in river beds, and even gravel from our houses. So – why are we selling it? A lot of children are really interested in fossils, and not everyone has the time or experience to identify common fossils. If your kids are interested in learning about fossils, and you have access to a gravel patch, you can just scatter a few of these around and help the kids find them. It is entirely possible you’ll find more than you put in, depending on where the gravel is from. They measure between 20 and 50MM long, approximately. 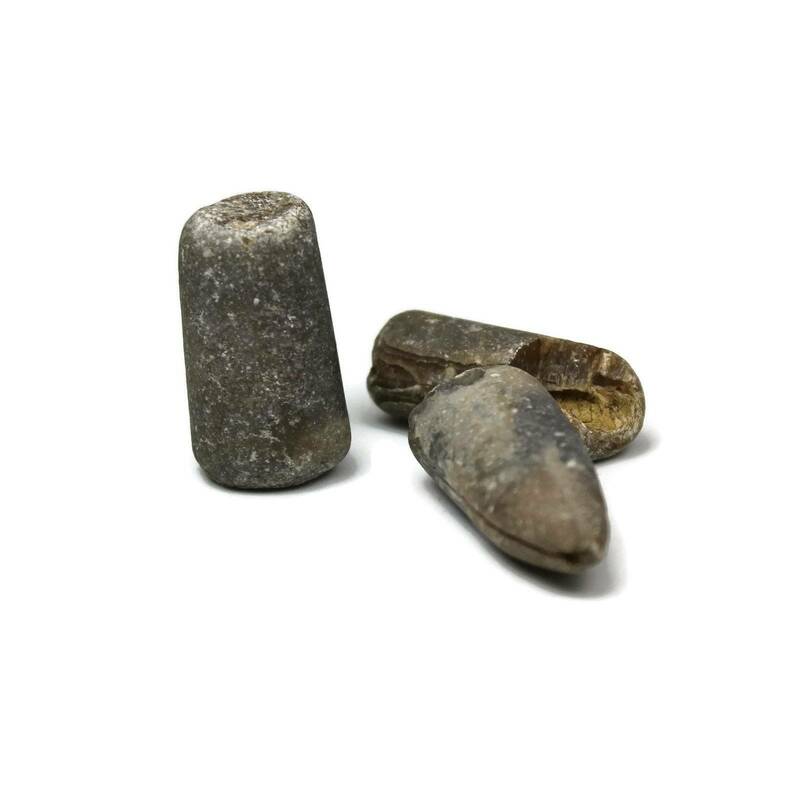 For more information about Belemnites, and a full list of our related products, please see our main ‘Belemnite Fossils’ page.